Listening to Ivy Layne makes me feel 17 again. Like it’s a Friday night, I’ve just finished an exam and the long summer evening stretches out in front of me full of promise and alcopops. 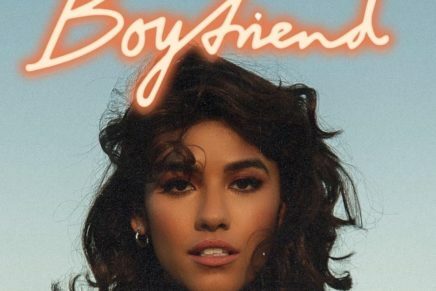 She’s just the person to soundtrack your getting ready routine: shimmer eyeshadow, pink kitten heels and a strappy dress teamed with her catchy pop melodies are guaranteed to set you up for a great night out. As one of TIDAL’s new Rising Artists, Ivy hasn’t been on the scene long, but has been entertaining and performing ever since she can remember. “I was born an artist,” she explains with confidence and determination. With her skin-tight bodycon outfits, high heels and long blonde hair à la Nicki Minaj, Ivy’s style and sound is very much what we’re seeing and hearing in popular music videos right now. Her latest release ‘One You Love’ is a catchy, fun summery pop song with a mellow Caribbean rhythm. Ivy has collaborated with Jamaican singer and DJ Popcaan for ‘One You Love Part 2’. It gives the single a fresh sound with Popcaan’s lilting vocals mixed with Ivy’s catchy chorus refrains. No doubt there’s more of that to come from this rising star.